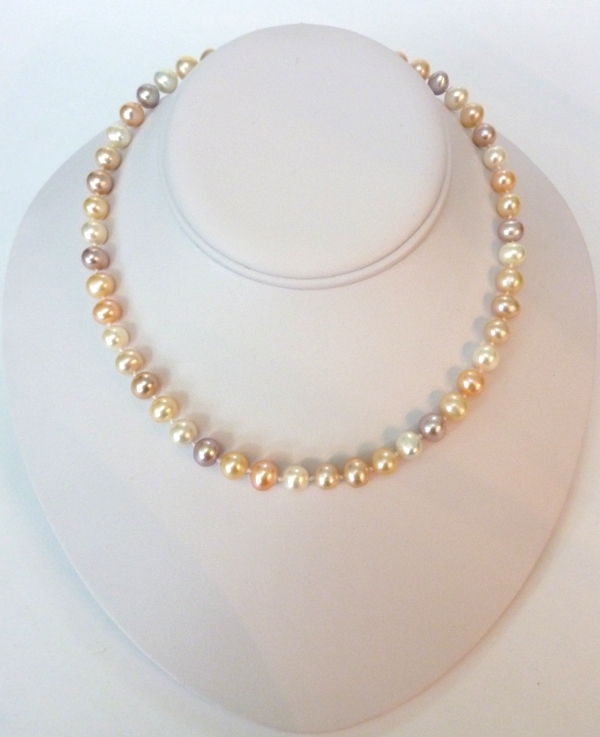 A beautiful multicolour 18-inch freshwater pearl necklace, fitted with a choice of clasp. 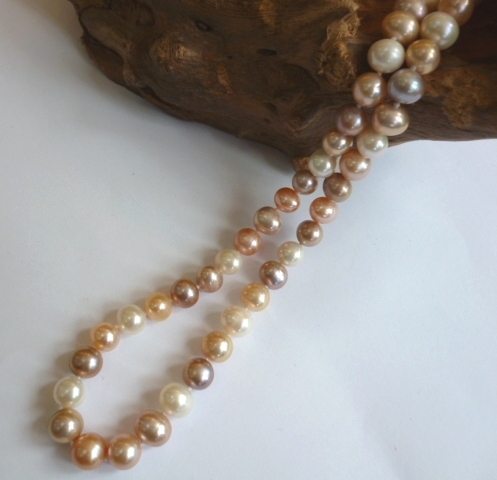 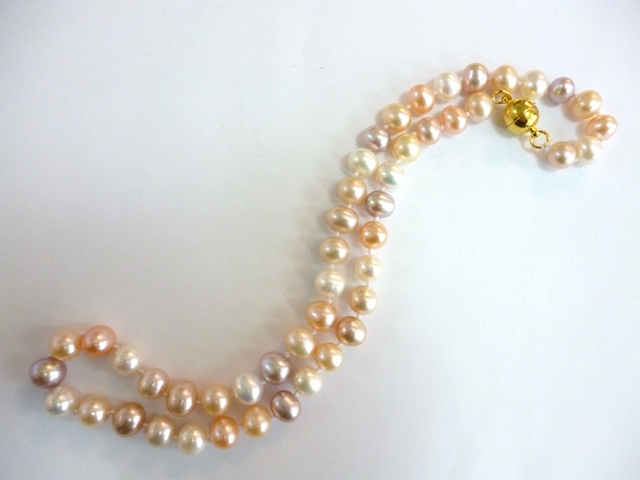 The high-quality, naturally-coloured (undyed) pearls are medium size (8 - 9 mm) near round, with excellent lustre. 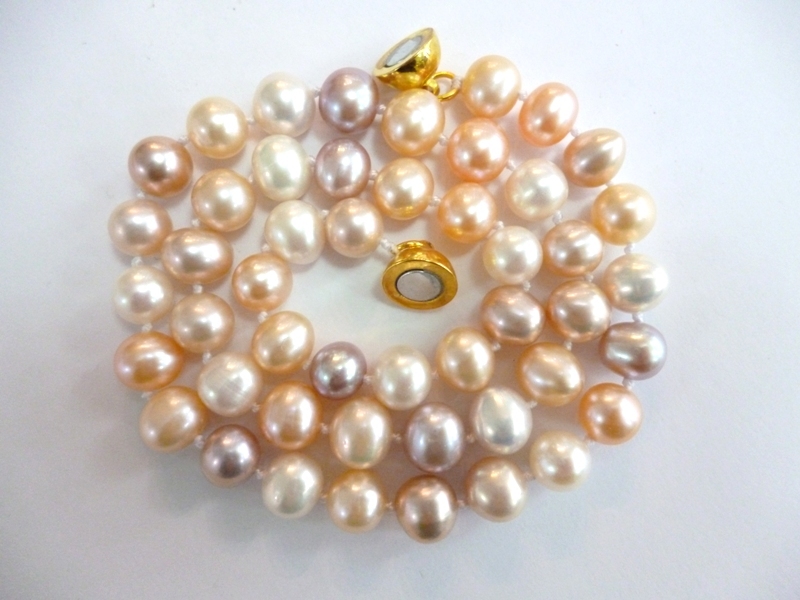 The necklace comes with your choice of a pretty and practical purse, or a slim and handsome gift box, at no extra charge. 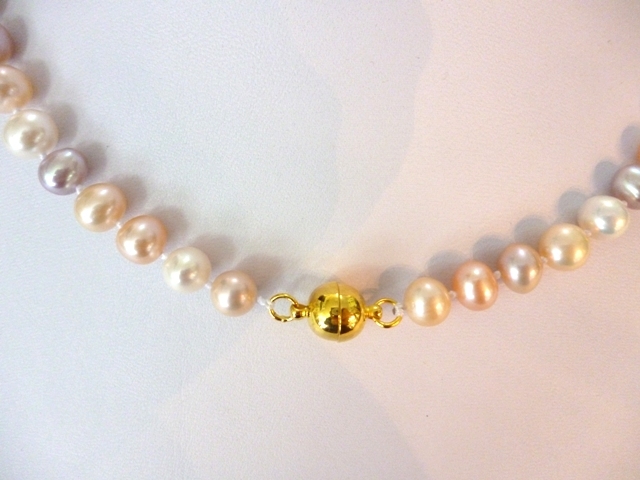 Please choose from the options offered above.